Top view of citrus background. Slices of lime on a board on a green table. 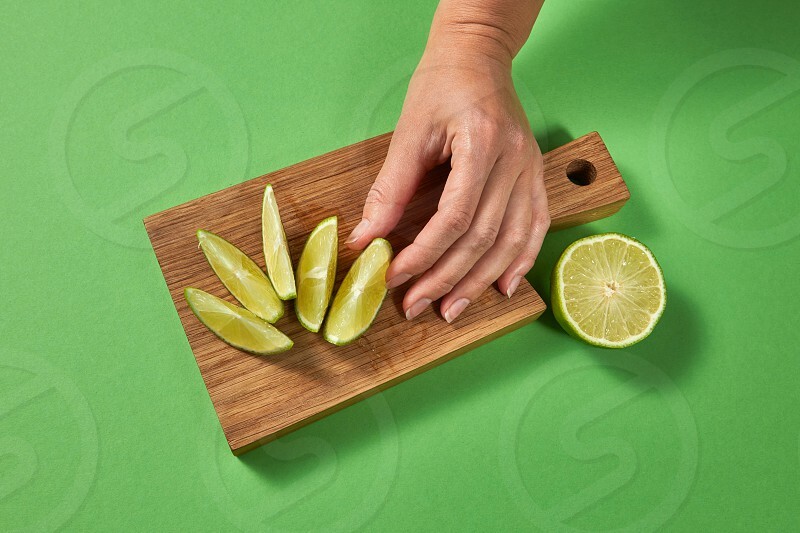 A female hand puts slice of ripe fresh green lime on a wooden cutting board with copy space.